So Degro took the course and earned the badge that turned out to be a way to list his new skill in an online resume with a digital graphic that looks like an emoji. Such non-degree credentials have been growing in popularity. But as students invest more time and money in them, concerns grow about credentials’ quality control and value. 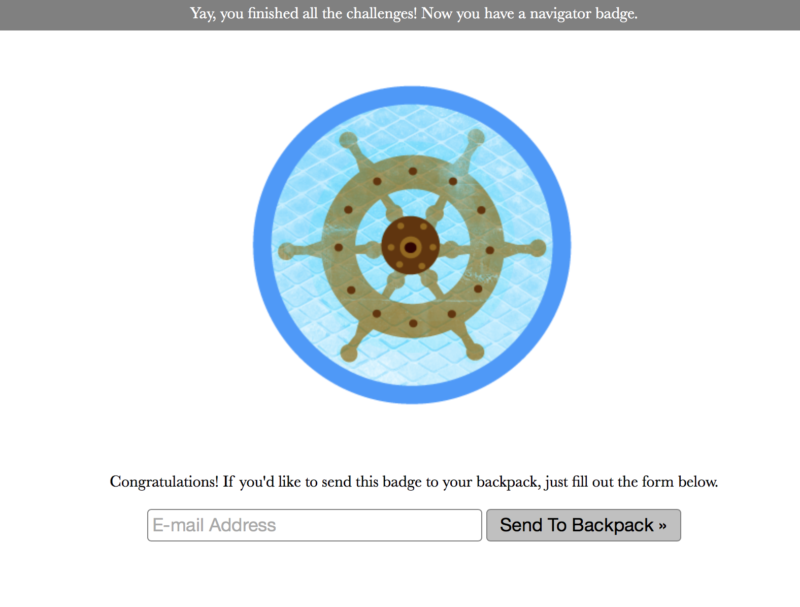 A “navigator badge” earned online. Source: openbadges.org. There’s not yet a reliable count of how many programs like these exist. One kind of popular non-degree credential, the certificate, is tracked, and the number conferred by colleges and universities grew by 31 percent in the 10 years ending in 2015-16 — the last period for which the figure is available —to 939,243, the U.S. Department of Education reports. In addition, some 4,000 colleges and other providers issue industry certifications, according to the Lumina Foundation, but fewer than one in 10 are reviewed by a regulatory body or accreditor. Bad communication has created a sort of “tower of Babel,” in which employers can’t interpret what a new credential means, said Kathleen deLaski, president and founder of the Education Design Lab, which has been working with colleges and other organizations on classes that reward students for the skills they learn. Companies need to be more active in designing these skills courses from the outset, deLaski said. Despite those hiring and retention concerns, industry appears reluctant to discuss the topic of policing new credentials. The National Association of Manufacturers declined to answer questions, as did tractor maker Caterpillar, which once had an in-house training program called Caterpillar University, and Amazon Web Services, which has teamed up with 19 Southern California colleges to train students in cloud computing. Like Caterpillar, other big companies have cut back on employee training, boosting the need for third-party courses. Snap-on, the toolmaker, trains its employees on its own machines, but said in a written statement that it “supports a common framework for credentials” to ensure quality. In northwestern New York State, several colleges have started looking into how to offer training that large manufacturers in the region once provided, said Heather Gresham, executive director of the Buffalo and Erie County Workforce Investment Board. Not all the new courses are aimed at increasing clearly defined skills in manufacturing or computing. Employers report trouble finding job candidates who can communicate well and work in teams, which is among the reasons George Mason University administrators say they started the resilience badge class in 2015. Some 4,000 providers issue industry certifications, but fewer than one in 10 are reviewed by a regulatory body or accreditor. 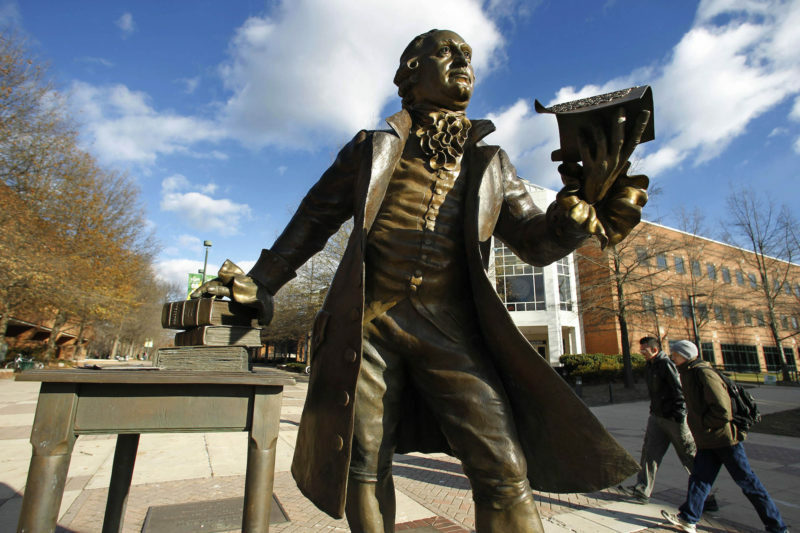 Students can choose to take the five-week course — three weeks in the classroom and two online — to improve their ability to face adversity and work with others, said Lewis Forrest, George Mason’s associate dean for university life. Forrest noted the disconnect between what students generally learn in college and what employers need, and said the badge could help with that — but only if employers understand what it means when they see it on a job candidate’s resume. Among the stumbling blocks for badges and other new credentials, also called microcredentials, is how to help employers judge whether a course has actually taught candidates a useful skill. The university has avoided quality concerns by asking the same faculty responsible for its degree programs to design the new skills courses, said Darcy Richardson, who directs the program. Companies and educators need to work together to come up with a way to protect consumers, she said. This story about alternative credentials was produced by The Hechinger Report, a nonprofit, independent news organization focused on inequality and innovation in education. Sign up for the Hechinger newsletter.